I don't recommend you to perform this modification if you don't have much experience. 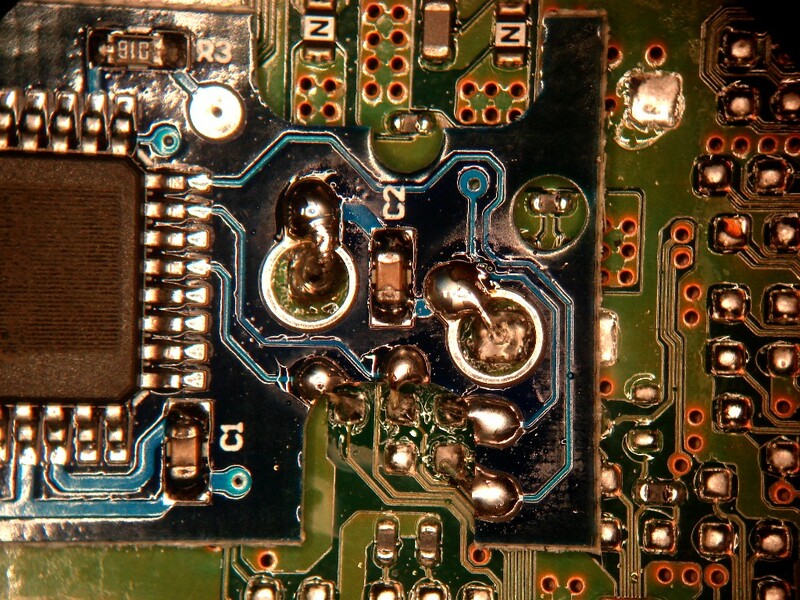 Use ESD protection and a small soldering iron. 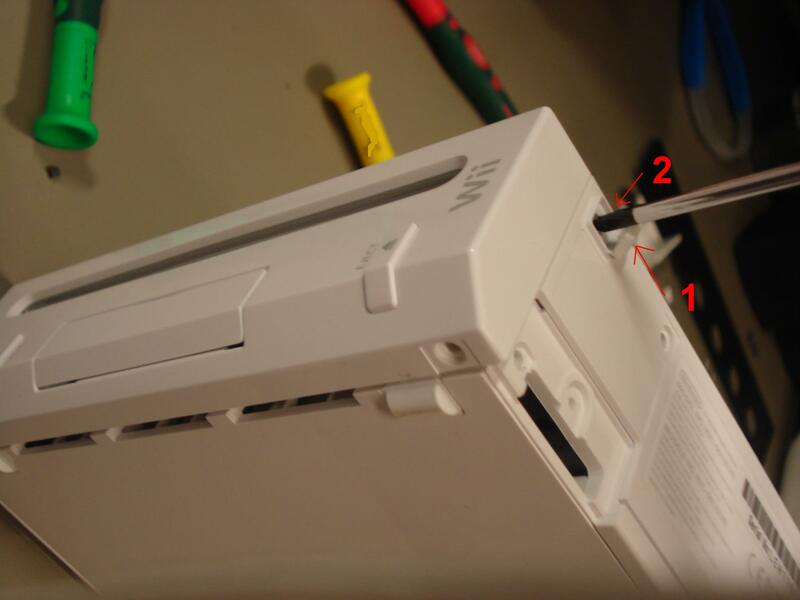 Remember not to have a disc in the Wii when you start. Also, make backups of all data. 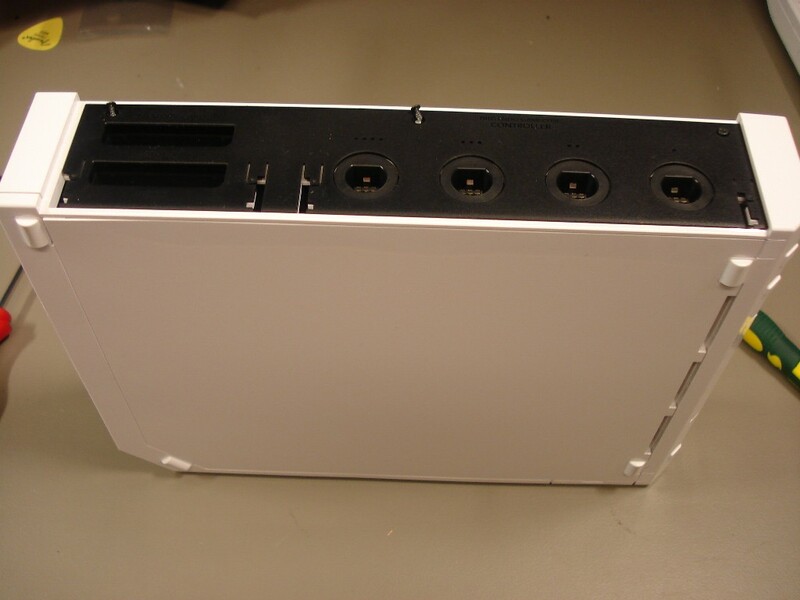 Remove the lids for the CG controllers and memorycard. Unscrew the screws (3) on the top part. 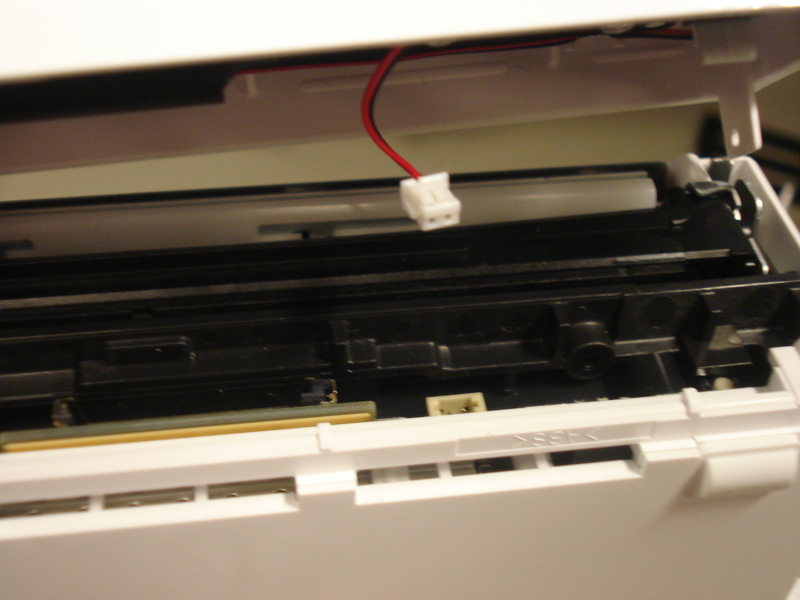 Remove the plastic cover. I used a guitar tab and started where marked on the picture. 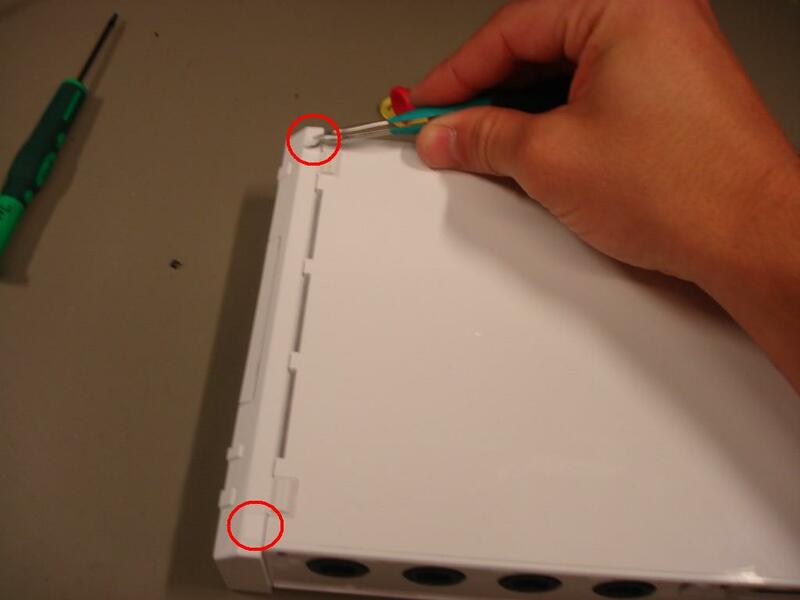 Remove all the screws underneath. 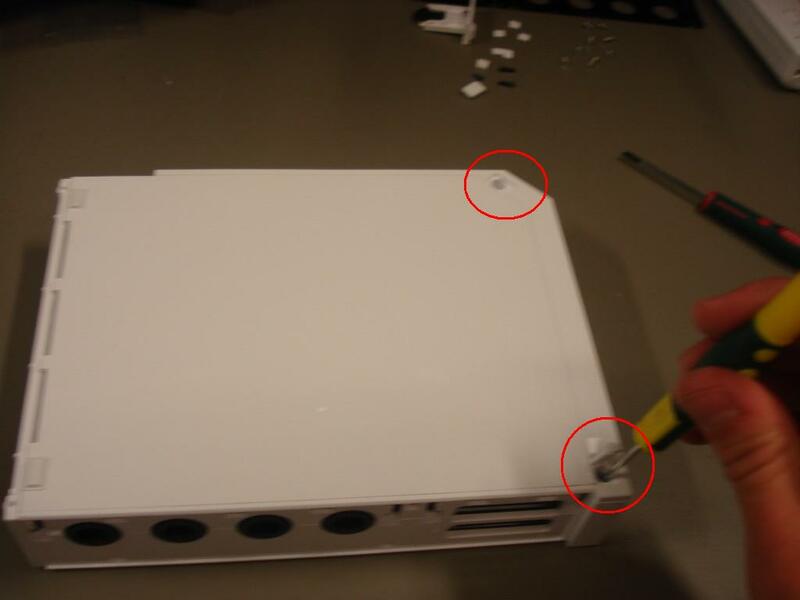 Remove the battery screw and lid, peel off the protective pieces and remove the screws. 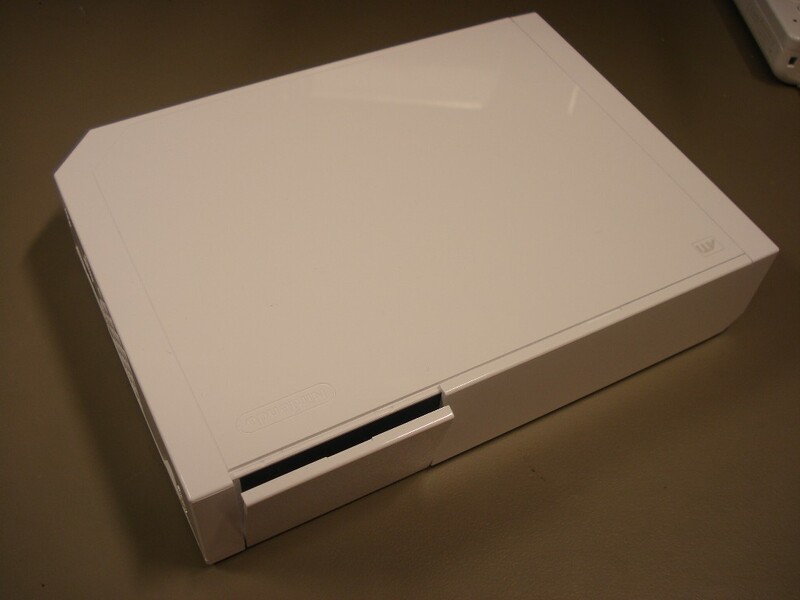 Remove the front cover. 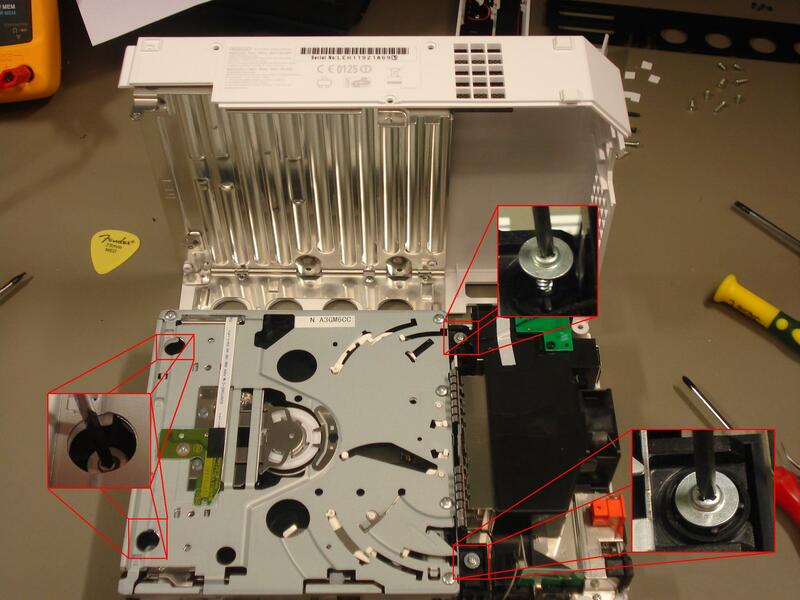 Make sure you are careful when detatching the cable for the disc illumination on the front. 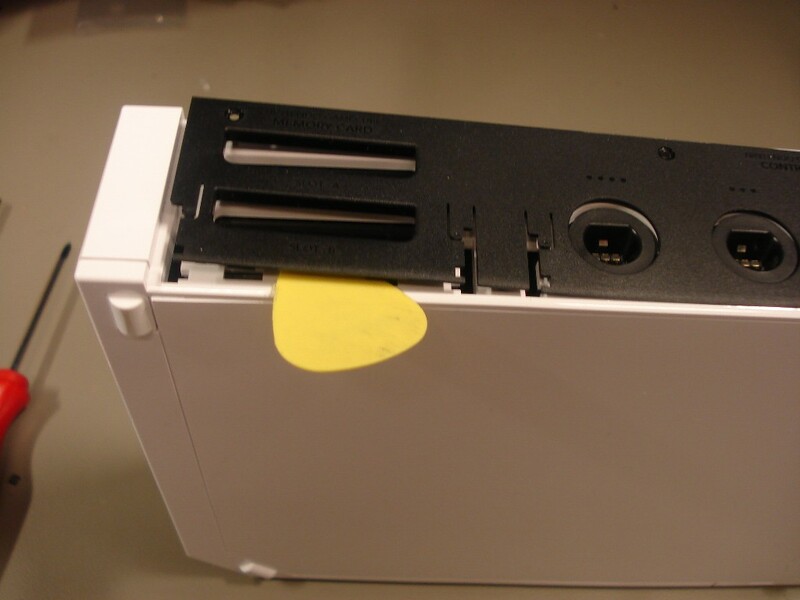 Open the box carefully, find the 4 screws for the DVD drive and remove these. 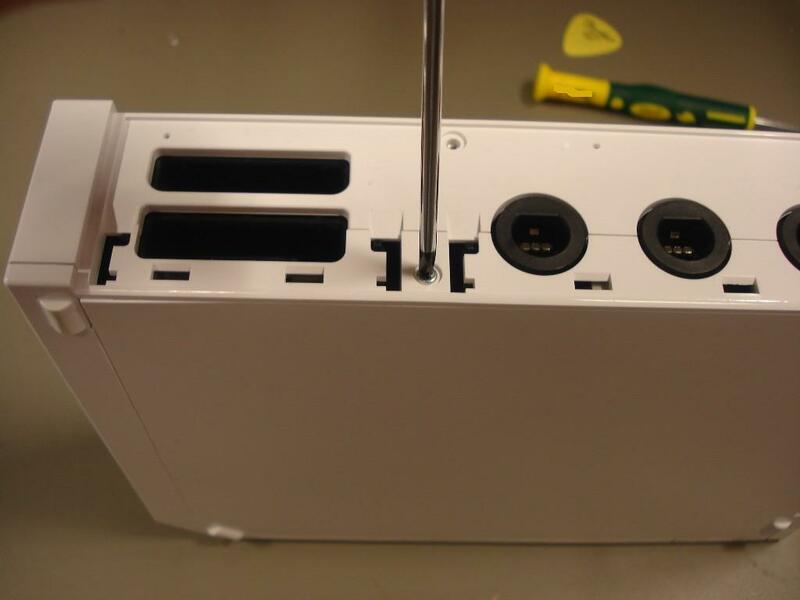 Make sure you are careful when detaching the cables. 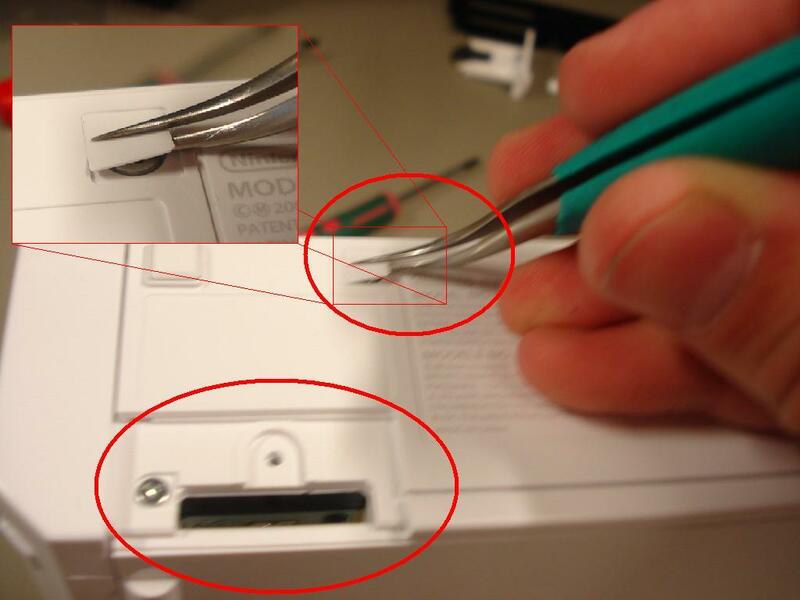 There are two cables and one should be removed by opening the connector as shown in the picture. 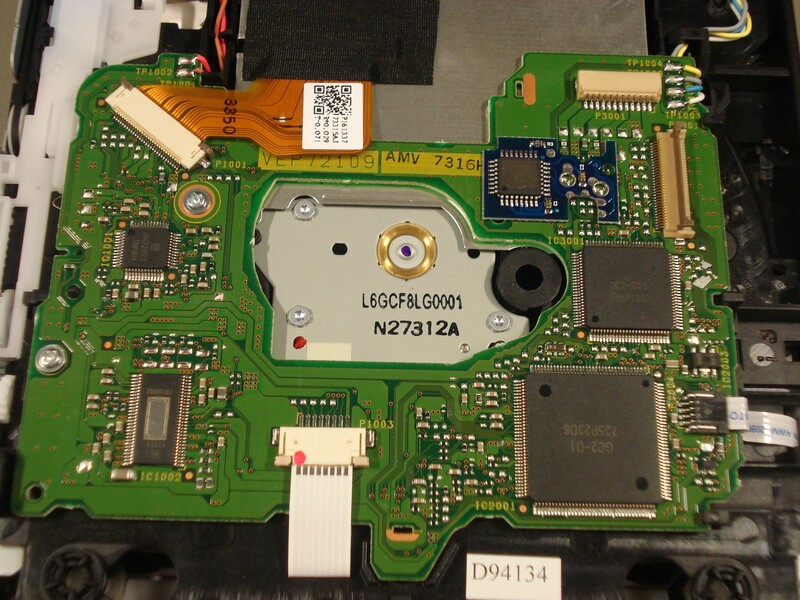 Find the right place on the PCB (High res picture). 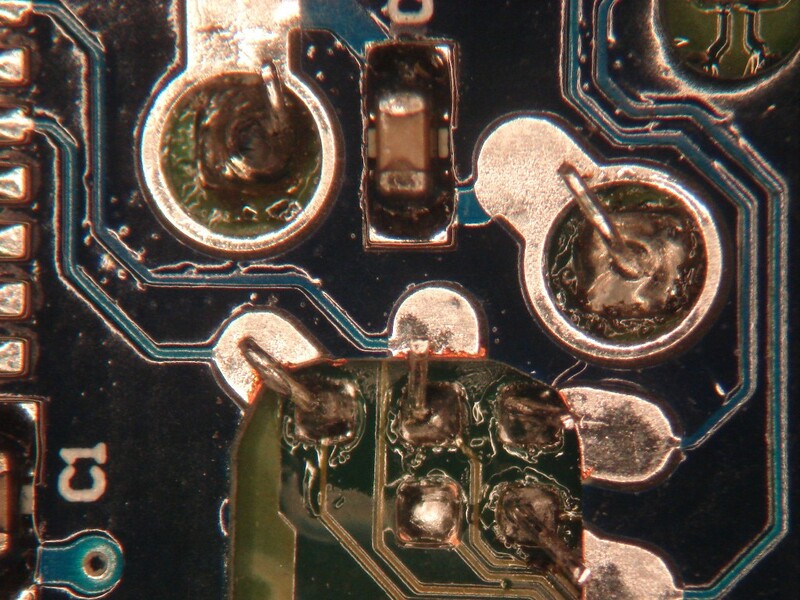 I started by soldering small short wires, about the double in length as the thickness of the modchip-PCB. 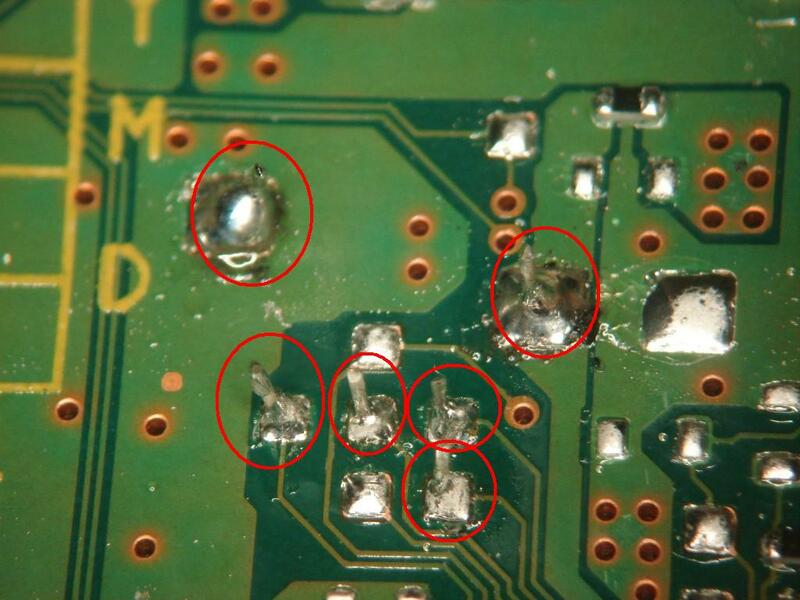 Make sure you solder weets the pads properly. 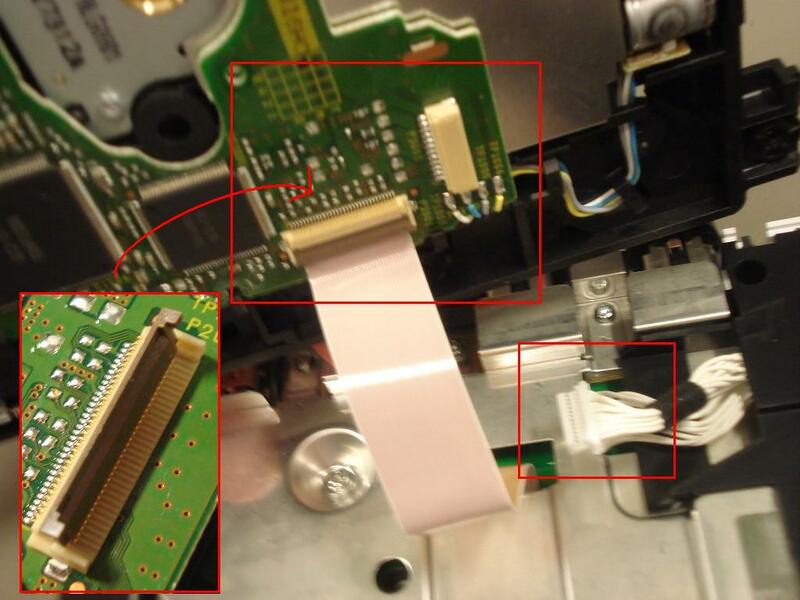 Then by folding the wires towards the pads, I got good alignment. The result. The pictures are taken under a microscope and professional equipment was used. Please leave a message on the main page if you find this information useful/fun or if you want more info, want to use the pictures etc.